Certain words that employers use within an application can be bias. For example, using the words dominant and competitive can be very masculine and therefore likely to attract more men than women. Similarly, using describing words such as best of the best and fast paced appeal more to men and can steer women away. Words such as loyalty, passion and collaboration on the other hand, have been shown to appeal to more women than they do men. This isn’t to say that you can’t use these words when writing your job descriptions, but it matters how you use them. Ensuring that your job specification appeals to both women and men, as well as having the right balance will help you to attract diverse talent and improve your diversity hiring process. Organisations normally hire people who are like them as they seem to think they are the best fit for the role. If a company implements diversity and inclusion into their company culture, then when they come to hiring new staff, they will hire individuals who are like them. Building your company culture will also contribute to what happens and matters in the long run. Considering every new candidate not for the short run, but for the long run will help with overall diversity. Looking for the short run is beneficial if that’s what the role implies, however hiring for the long run reflects your commitment to building a diverse workforce. 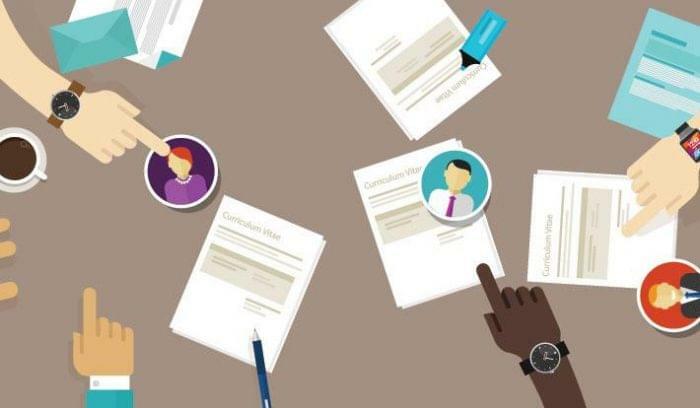 Changing your recruitment process to incorporate a skills screening process before the face to face interview can help you attract diverse talent to your company and improve your diversity hiring process. The screening process works as a blind hiring method that gives everyone an equal chance when applying for the role. Employers can then eliminate any candidates that they don’t feel are suitable for the role without any selection bias. Having a screening test in place is also a good way of advertising the job role. Individuals can sometimes be put off by a job when they must write a cover letter and customise their CV, but a 10-minute screening challenge adds a bit of fun to the application process. Going back to the same recruitment agency or job board can make your hiring process very repetitive. Looking for talent in unlikely or overlooked places can help you attract a diverse talent pool. This not only can attract diverse individuals but is a great way of targeting people who have a lot to offer. It has been said that some of the best performing females value flexibility and they sometimes can be overlooked or not found. Having a diverse set of interviewers can help encourage diverse individuals to accept job offers. Experts say that women are more likely to join a company if they have been interviewed by a woman in the company. Having a diverse panel also represents a company’s commitment to diversity and individuals will feel more comfortable interacting with a diverse interview panel.